The city of Dordrecht, located in the province of South Holland, is known as the most ancient city in Holland. There is some controversy concerning the etymology of its name, but it essentially means a “thoroughfare.” This is due to the fact that the city is actually on an island and was historically a significant part of the shipping lines in the earliest days of its existence. It is actually bordered by five different rivers and remains a culturally and historically important city. Known by its inhabitants as Dordt, the city was also called Dort by the English who valued it as a trade port. Ironically, the first mention of the city in history is from 846 when the Vikings were said to have plundered and set fire to the city. Actual city rights were granted by William I, who was the Count of Holland, in 1220. 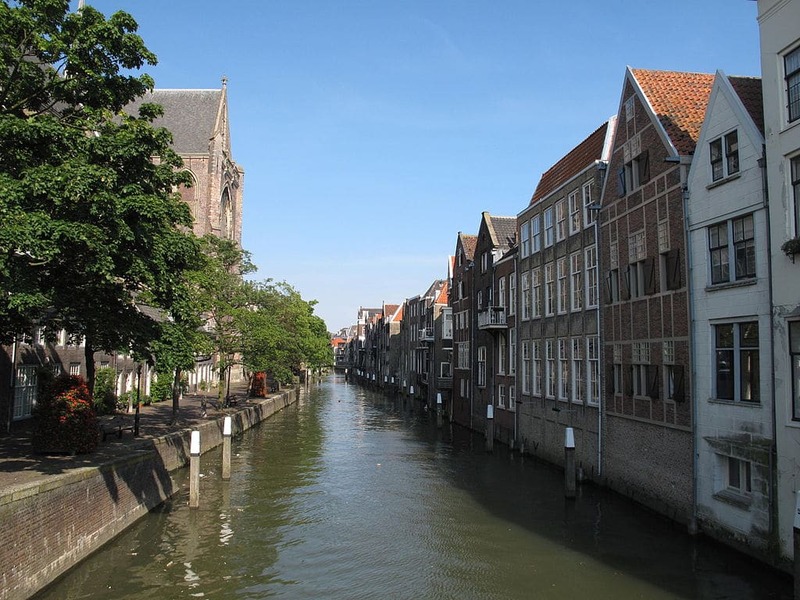 This distinction helps to establish Dordrecht as the oldest province in Holland. The city became an important city during the 12th and 13th centuries. Primarily known for its trade in wine, wood and cereals, the location of Dordrecht gave it strategic market importance with traders from all over the known world. However, it wasn’t until the flood of 1421, known as Saint Elisabeth’s flood, that the city actually became and island. Not every city has the distinction of having played a role in a major religious event. However, in the years of 1618 and 1619, what came to be known as the Synod of Dort was held. This religious convention was to attempt to reconcile the differences between the followers of Jacobus Arminius and Franciscus Gomarus. At issue was the controversy surrounding the doctrine of Calvinism. The synod ultimately did not resolve the issues and left a split between the Armenians and the Calvinists to this day. Though the city yielded some of its importance to Rotterdam in the 18th century, it still remains a key city for the defense of Holland. In 1940, German paratroopers landed in the city during the invasion of the Netherlands. During the ensuing conflict, many of the buildings in the city were destroyed. Dordrecht was finally liberated by the Canadian Army at the conclusion of the war. Today, the city of Dordrecht is the 6th largest seaport in the Netherlands, and is primarily known for shipbuilding and its wood and steel industry. While being the oldest city in Holland, Dordrecht is by no means feeling its age. The city is currently in the process of a huge revitalization project aimed at bringing more business services to the area. On a somewhat humorous note, there is a saying about the city that translates, “The closer to Dordt, the more rotten it gets.” Legend has it that this is due to the nature of the shipping rules that often required ships to wait for days before being able to unload their cargo. This, according to the legend, led to much spoilage and hence the smell. Regardless of the actual meaning behind the saying, the city today certainly does not smell bad!